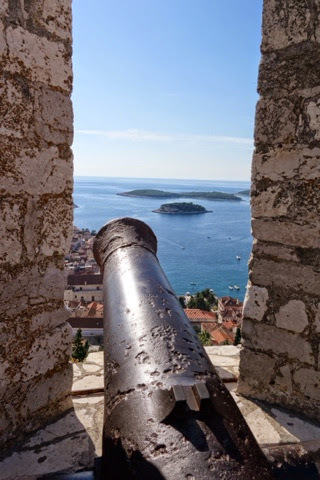 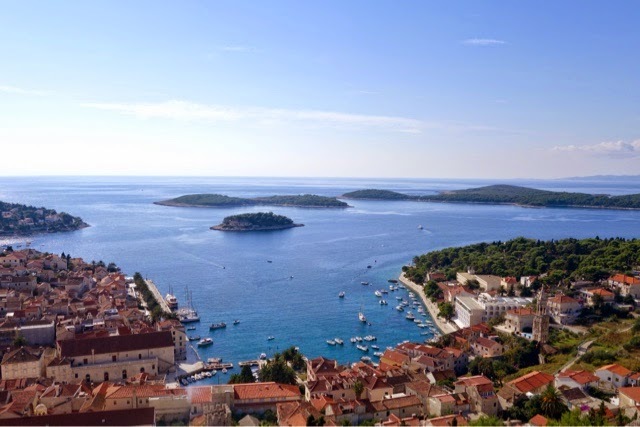 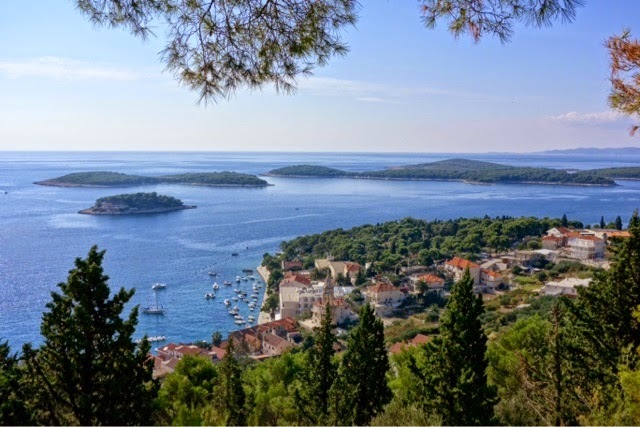 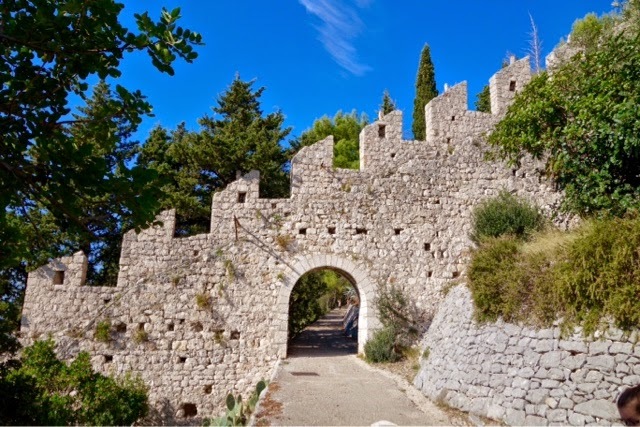 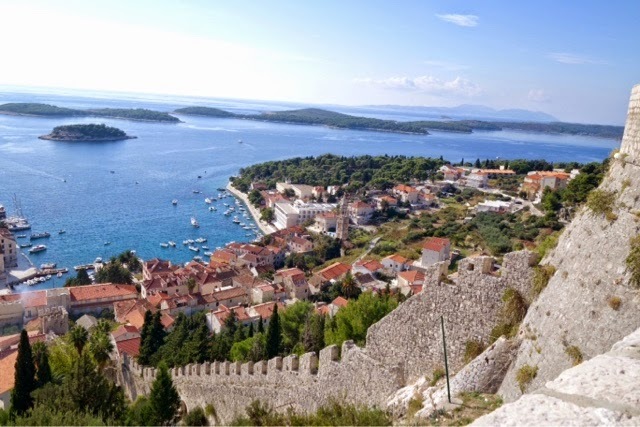 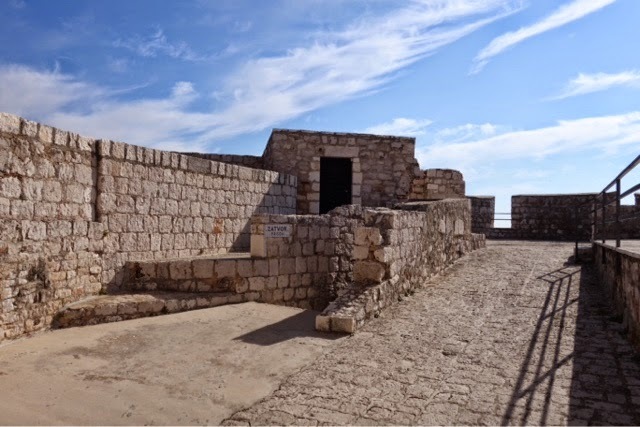 Walked up to the Fortress above Hvar Town, Croatia. 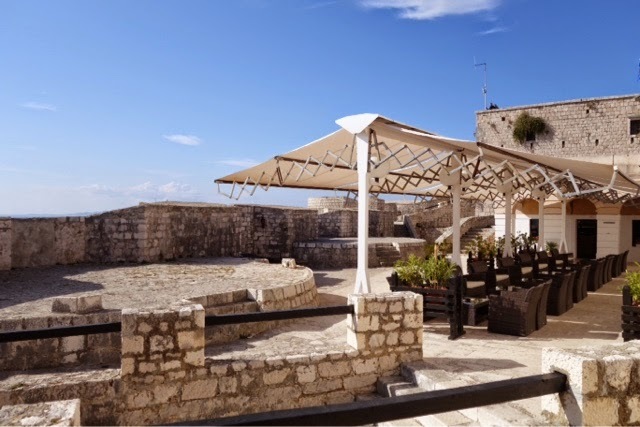 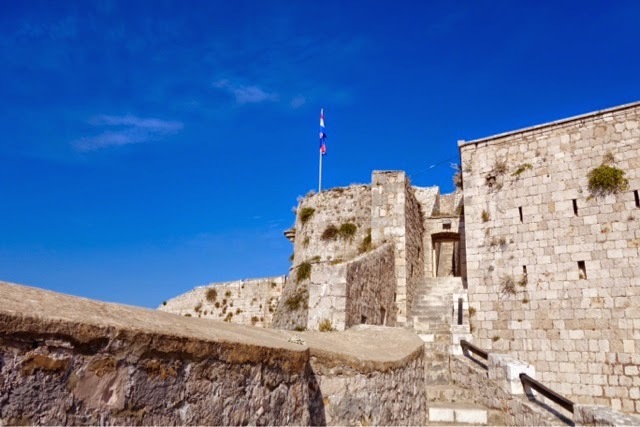 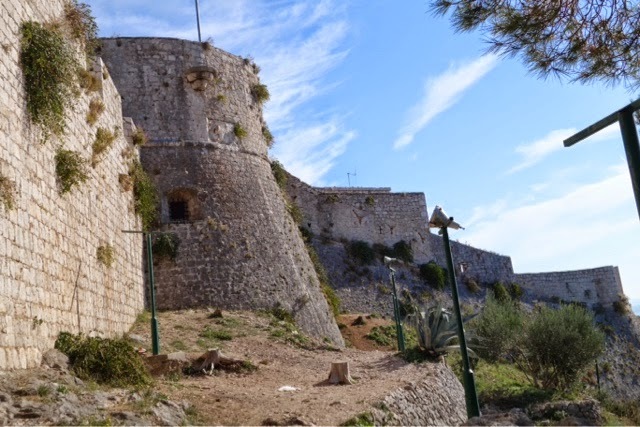 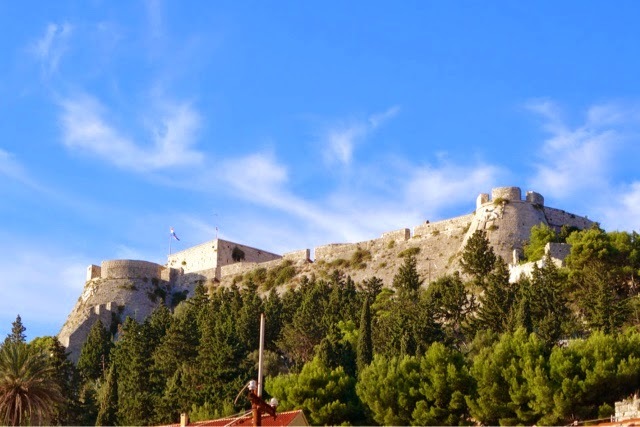 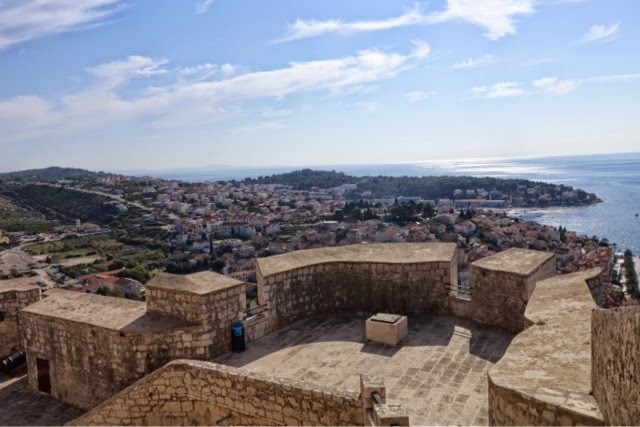 The Fortress is about 300 feet above the town and construction started in 1282 but was not completed until the 16th century. 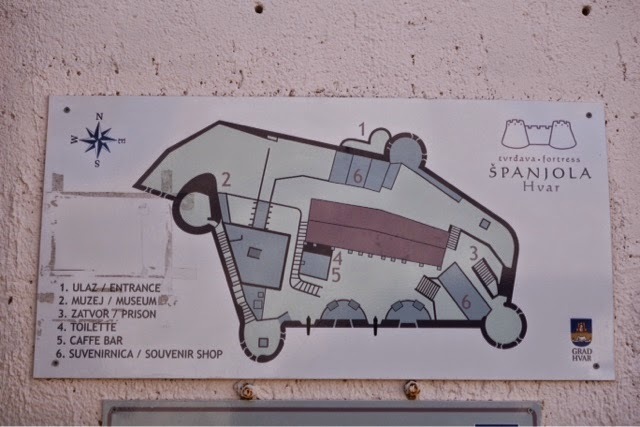 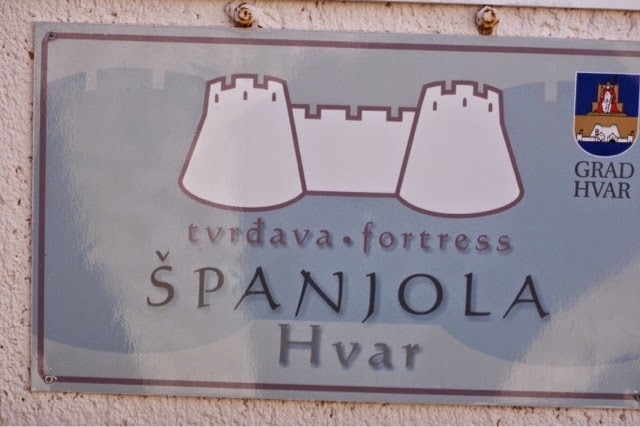 The worst damage to the Fortress ocurred on October 1, 1579 when a thunderbolt struck the gunpowder store causing a huge explosion causing major damage to the fortress and parts of town below.